So how did we celebrate yesterday when cooler temperatures made it seem that fall is really on the way? With food fit for the season, of course! 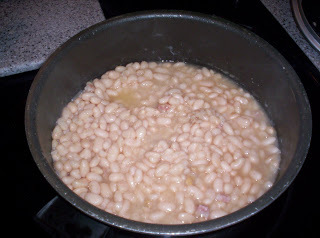 I simmered northern beans with a little bit of pork and chopped onions in a pot on the stove for a couple of hours. 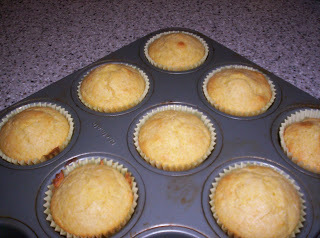 Corn muffins baked up quickly in the oven. 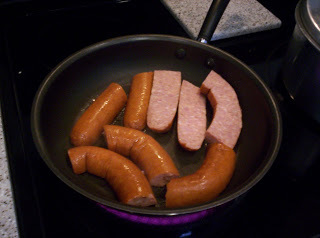 Smoked sausage was the perfect complement, while sliced pears rounded out the menu. While temperatures are supposed to warm back up later in the week, we enjoyed a wonderfully cool evening with the windows open and our stomachs full!! YUMMY!! Looks and smells like fall! Your post is making me hungry! Great combination of foods here!